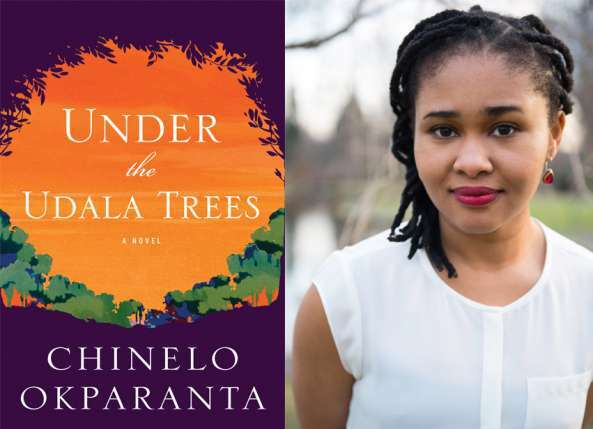 Chinelo Okparanta released her debut novel, Under the Udala Trees – a celebration of the revolutionary nature of queer love – in 2015. 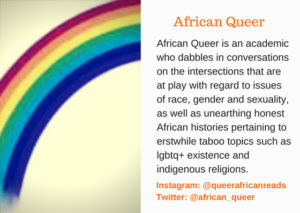 Since then it has created electric buzz among reading circles owing to the nature of its content: a book that covers the normalcy of homosexuality in Nigeria, a country that is well know for its virulent homophobia and punitive anti-gay laws. In this review, I examine through a series of short bursts of thoughts, the aspects of the novel that stood out to me and make it wholly deserving of the celebration it has received. Ijeoma, the title character in the novel, is a girl under moral siege. Having been raised Christian, she grapples to find a balance between the religious teachings that her mother forces upon her, and the strong feelings that she has for her friend Amina. Okparanta does an excellent job of laying out before the reader those verses in the Bible that are often used as a defence against homosexual love. Through Ijeoma’s mind, the reader gets to ask themselves crucial questions about these scriptures: Should they be read literally, or should one seek to find metaphorical meaning within them? And how does one reconcile those feelings naturally felt within them with the castigation of the Bible? Does it then become a castigation of self? Amina eventually succumbs to religious guilt, which brings with it a slew of gruesome nightmares, while Ijeoma resists the pull of guilt for as long as possible, before bending to her mother’s will. A loss for both, it would appear. Perhaps the most important and relatable aspect of the book for young readers at the brink of exploring their sexuality is the fact that both Ijeoma and Amina are early teens when they meet and fall in love. They defy the narrative that homosexuality is a learned habit, and with each other they discover their attraction. There is no hesitation in this thought, no questioning of whether this is organic or not. They simply let their feelings for each other consume them. It is only when the Bible scriptures are brought to their attention – only when they feel the external and disapproving gaze of those that judge them – that, like Adam and Eve, they feel shame in the ‘nakedness’. Their innocent attraction to each other provides a silent lesson on what love truly is, and what it means to accept those we love. By contrast, external gazes on their relationship provide an explanation of where shame comes from, how we learn it, and the damaging consequences it may have. The first part of the novel is set in Southern Nigeria (then Biafra) during the Biafran War. As was routine at the time, families would find themselves hiding in bunkers while escaping the murderous warplanes sent southward by the government of the North. Ijeoma’s family was no exception. Several years later, after the war is over, Ijeoma once again finds herself crouching in a bunker in order to escape the murderous onslaught of townspeople who want to rid their town of homosexuals. Twice, we see Ijeoma hide for her safety, and twice we see how the bunker serves as a refuge not only during a bloody civil war, but also in times of seeming peace when the queer Nigerian community continues to brace a war against it. Ultimately, Ijeoma finds a way to bring even her most ardent detractors to her side, proving to them that queer love cannot be simply wished away, or erased by changing one’s lifestyle to one considered more conventionally acceptable. While this leaves a lot of interrupted lives in her wake, perhaps the lesson to be learnt here is that if only the world around her had let Ijeoma be, then maybe there would not have been as much pain around her as there was. And isn’t this a lesson to all of us? To let people be, and express love how they want to? Because the opposite really causes more harm than good.